Fans of slain Tejano singer Selena Quintanilla know October 17 is a special day. That was the date in 1989 when her first studio album "Selena" debuted. Four more albums would come later, including the posthumous "Dreaming of You" which was released after the singer was shot and killed at age 23 by her former employee Yolanda Saldívar on March 31, 1995. 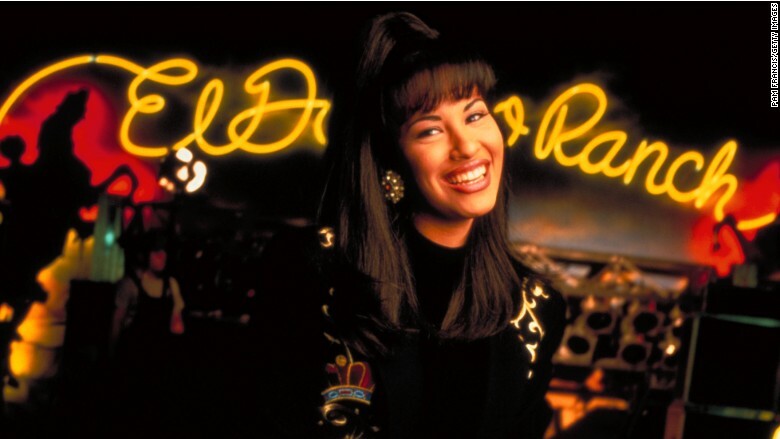 Google's latest Doodle pays tribute to Quintanilla, who was professionally known as "Selena." The Google Doodle's animated video tells her story, from childhood to stardom, and features Selena singing her hit single "Bidi Bidi Bom Bom." Google often alters the logo on its homepage to celebrate holidays, people, events and achievements. Recent Google Doodles have include tributes to visual artist Oskar Fischinger, African American singer Josephine Baker and the Rubik's Cube. Perla Campos, Global Marketing Lead for Google Doodles and project manager for the Selena Google Doodle, told Billboard she idolized the Mexican-American singer growing up. "I grew up as the daughter of a Mexican immigrant single mom living in a small (primarily white) town outside of Fort Worth, Texas," Campos said. "There were always two women who taught me I could do anything and be anything I set my mind to: my mom and Selena. Selena has been a part of my life for as long as I can remember." Campos said she and her team worked with the late singer's family for two years to ensure that the Doodle told the story accurately. "The little details I gave...that Selena had red nail polish on instead of bright pink," her sister, Suzette Quintanilla, told Billboard. "That she had hoop earrings. They even put red on the microphone the way she used to have it." The family also helped create a special collection of Selena content as part of Google's Online Arts & Culture Exhibit. The collection includes art work, fashion and some of the late singer's favorite items. Known as the "Queen of Tejano," Quintanilla has become even more famous in death. Fans frequently flock to her grave site in Corpus Christ, Texas. Her life and subsequent murder were the subject of the 1997 biographical film "Selena" starring Jennifer Lopez, which has become a cult classic for fans.